When dealing with translations, follow a simple rule – always go to professionals. If you need a great Croatian translation company then you have come to the right place. Our Croatian translation services offer you quality, professionalism and peace of mind. In order to get you a quote we simply need to know a little bit about your document, why it’s getting translated, your deadline and if possible the number of words in the document. Kwintessential has a distinguished team of translators working both from English into Croatian and Croatian into English. Our team are all qualified veterans in the translation field, many bringing specialist expertise in a number of business fields. Working closely with our project management team they offer you a smooth-sailing service. If the following matter to you, then come to us! With a wealth of experience and thousands of satisfied clients why look anywhere else? We bring you a one-stop Croatian translation shop. Authoritative translators: Our team only consists of carefully vetted, qualified, experienced full-time translators. All formats covered: You can send us hard copies, emails, word documents, PDFs, scanned images, websites or any other format available. The Croatian Language: Did you know? 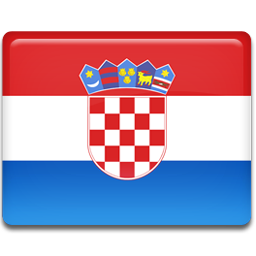 Croatian is a South Slavic language which is used primarily in Croatia, by Croats in Bosnia and Herzegovina and in neighbouring countries where Croats are autochthonous communities. Croatian is today the official language of the Republic of Croatia and, along with Bosnian and Serbian, one of three official languages of Bosnia and Herzegovina. It is also official in the regions of Burgenland (Austria), Molise (Italy) and Vojvodina (Serbia). There are seven Croatian language universities in the world: the universities of Zagreb, Split, Rijeka, Osijek, Zadar, Dubrovnik, Pula, and Mostar.